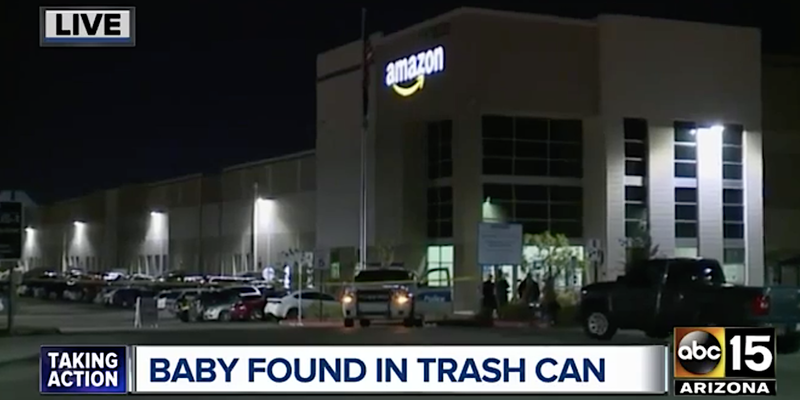 Police in Phoenix, Arizona, found a newborn baby dead inside a trash can at a women’s restroom at an Amazon warehouse on Wednesday. The baby was beyond resuscitation when first responders arrived, officers told local media. Amazon said this was a “terribly sad and tragic incident,” and that it is cooperating with police. Business Insider has previously documented evidence of ambulance calls for maternity-related issues at Amazon distribution centers around the world. A newborn baby was found dead in a trash can at an Amazon warehouse in Phoenix on Wednesday.